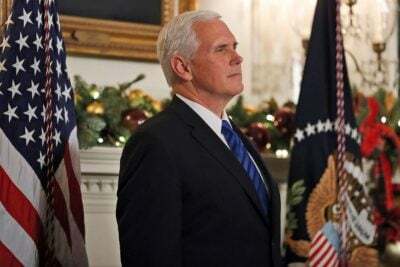 Pence’s ominous warning about an imminent “all-out cold war” between the US & China is only newsworthy because it bluntly, albeit belatedly, states the obvious. The US is keenly aware that China’s Belt & Road Initiative (BRI) is the single-greatest long-term threat to its global hegemonic position because of its potential to redirect trade routes away from the West and to the People’s Republic, thereby catalyzing a chain reaction of full-spectrum paradigm changes that will in turn accelerate the emerging Multipolar World Order. The Liberal-Globalist faction of the American permanent military, intelligence, and diplomatic bureaucracies (“deep state”) struggled to respond to this challenge and are sometimes accused of seeking an “accommodation” with China to “responsibility facilitate” this global systemic transition, while the Nationalist faction led by Trump and his ilk are strongly opposed to this trend and are pushing back against it with all their might. This has seen the US utilize tariffs, sanctions, infowars, Hybrid Wars, the “Lead From Behind” stratagem, and conventional military means (e.g. patrolling the South China Sea) to push back against China’s gradual gains in a bid to retain and ultimately expand its hegemonic leadership. Seeing as how the US’ methods fall short of a direct kinetic response against China (“hot war”), the present state of affairs between the two is the textbook definition of a “cold war”, albeit one that occasionally flares up in third-party states or non-national domains (e.g. the financial and currency sectors) as a result of this multifaceted hybrid campaign. Considering the objective reality of International Relations as it presently exists and the most likely trajectory that it’s expected to continue along for the indefinite future, Pence is simply preconditioning the global masses for a more overt intensification of the aforesaid processes that will make it impossible to ignore the ongoing New Cold War between the US and China over the fate of the world order.